Now that I’m home, not only could I treat myself to a nice samurai movie in the form of The Tale of Zatoichi, but now I’m free just in time for summer blockbuster season! And we kick off the summer with the current hot movie, X-Men: Days of Future Past. X-Men: DoFP starts in a not-too-distant future where mutants are fighting a losing war against the Sentinels, robots designed by humans to kill mutants. It’s up to Wolverine (Hugh Jackman) to travel back in time to 1973 to stop Mystique (Jennifer Lawrence) from starting the war in the first place. The movie opened up with an absolutely terrific fight scene in which five X-Men fight to stall some Sentinels. The special effects in this scene were awesome and the whole sequence did a great job of setting the stage for what’s to come. While an important part of the movie was time travel, the plot felt much less convoluted than that of last year’s The Wolverine. The characters moved on a pretty obvious trajectory, even if Wolverine was rewriting history. DoFP was meant to follow up 2011’s X-Men: First Class, which ended with some serious sequel bait. What surprised me was how none of First Class’ hints played a part in DoFP at all. I learned of the fates of many characters I was expecting to return from a dialogue exchange between Magneto (Michael Fassbender, who tried a little to hard to remind us he was supposed to grow up into Ian McKellen) and Xavier (James McAvoy, who wasn’t trying hard enough to remind us he would grow up into Patrick Stewart). 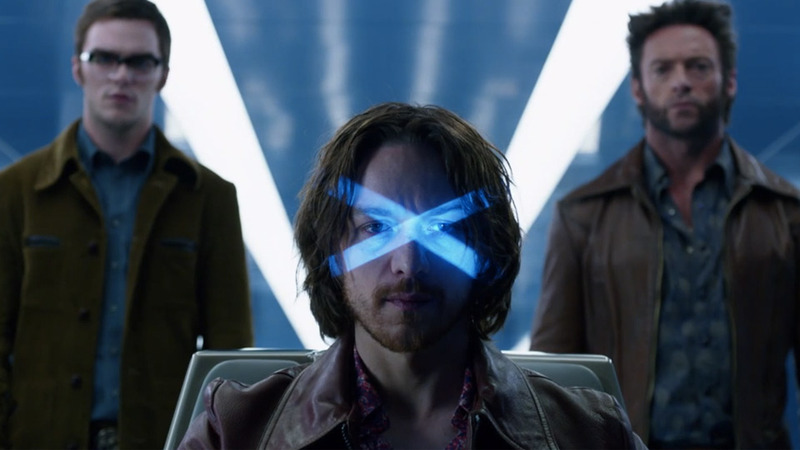 I think Bryan Singer, whose previous credits include the first two X-Men movies and Superman Returns, was what DoFP really needed in order to make up for the faults I felt First Class had. A complaint I had with First Class was that it had a very, very weak 1960s atmosphere, whereas DoFP did a good job of making sure we know it took place in 1973 without having to resort to explicitly reminding us what year it was. While I did miss being able to quietly enjoy some absolutely gorgeous visuals like I could in The Wolverine, DoFP did a good job showcasing the talent of its special effects team namely in a scene where Quicksilver struts his stuff to protect his comrades from some security staff and when Magneto lifted up an entire stadium to drop around the White House. While I did have some minor gripes with the movie’s story, especially a couple minor plotholes, I will say I’m already optimistic this summer will be a better movie season than it was last year. Already, X-Men: Days of Future Past is a lot better than either of the superhero movies we got last summer, and I’m excited to see what else is to come.